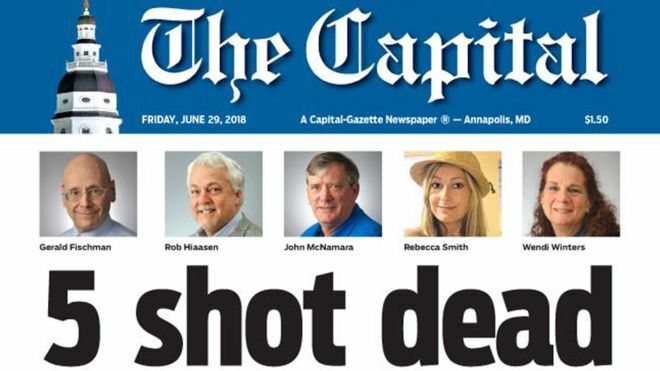 Marylanders to Prevent Gun Violence joins all of you in mourning the five people killed inside the Capital Gazette newsroom yesterday and sending our love and support to those injured and traumatized. According to the Gun Violence Archive, this is the 154th mass shooting in the US in 2018. Unacceptable. This attack could have been prevented. Our national leaders need to address this deadly epidemic that ravages communities all across the country. Our workplaces, schools, shops, and homes should be where we experience life… not death. Our sadness is matched by our outrage. We will hold our leaders accountable for this tragedy and every other shooting until meaningful action happens from Congress. The time is now.